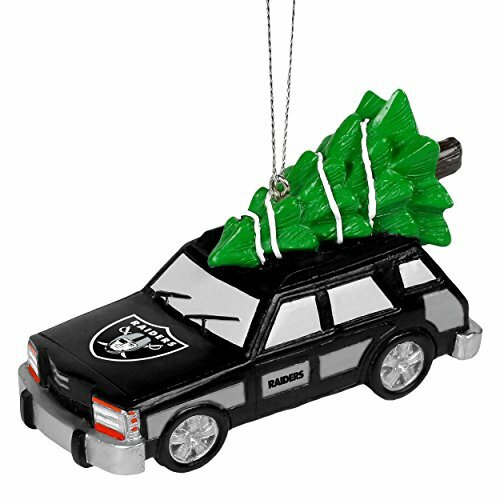 Get the look you want for the holidays with your Oakland Raiders Christmas Tree Ornaments. 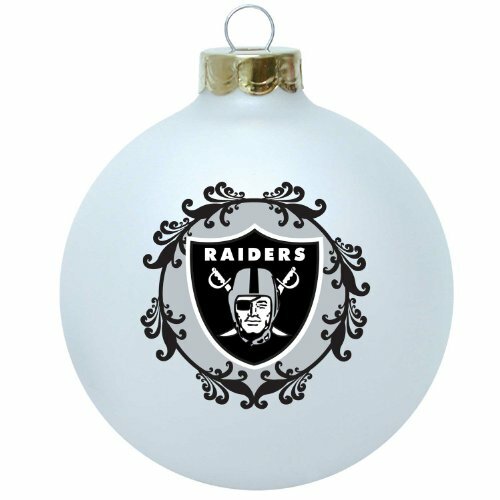 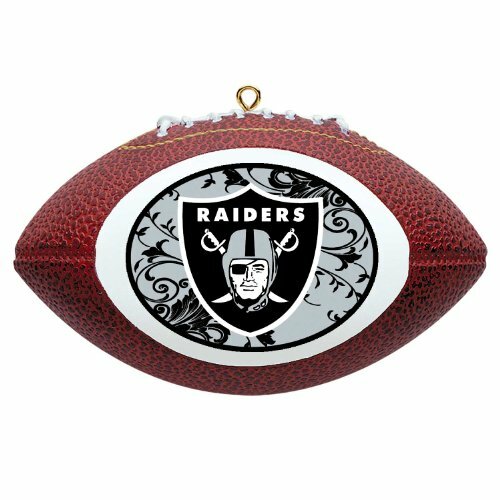 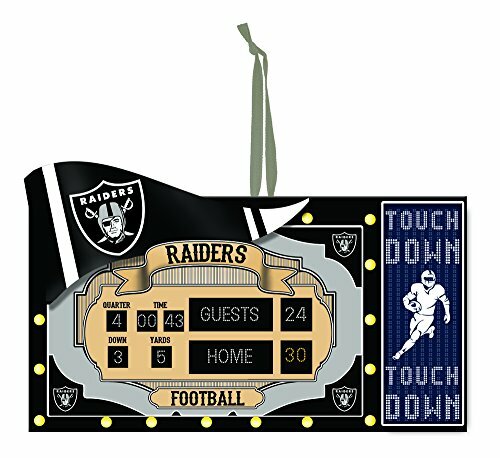 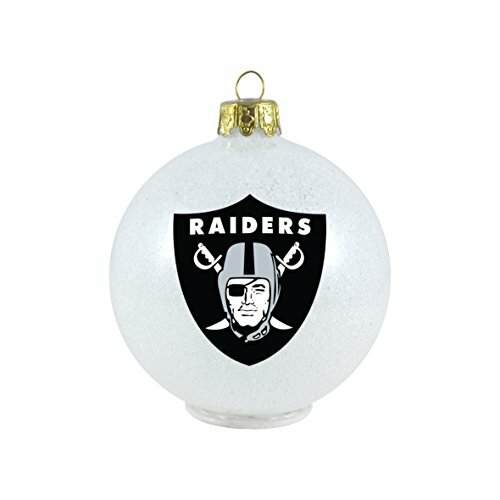 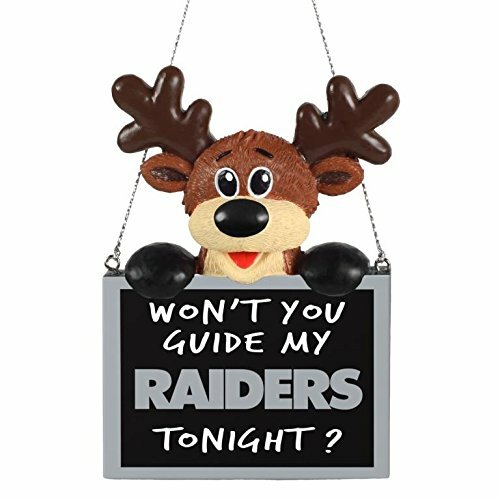 They’ll look fabulous on your tree all done in stunning black, white, and silver, the Raiders team colors. 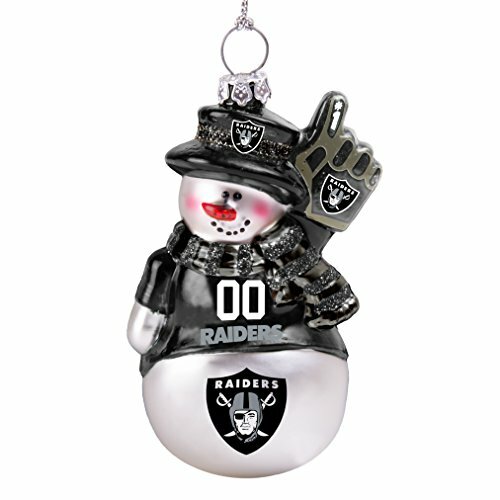 Deck the halls and the tree with Oakland Raiders ornaments. 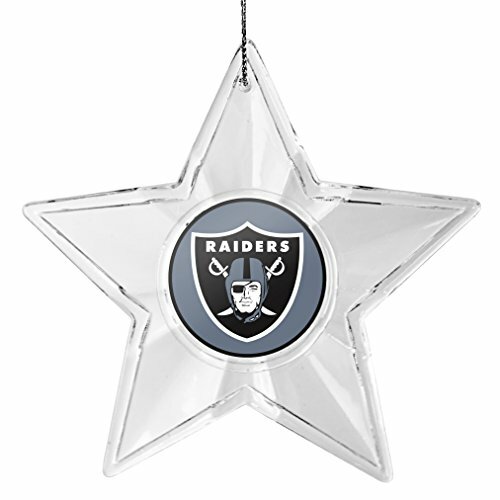 Set them off with some plain silver ornaments and some silver garland. 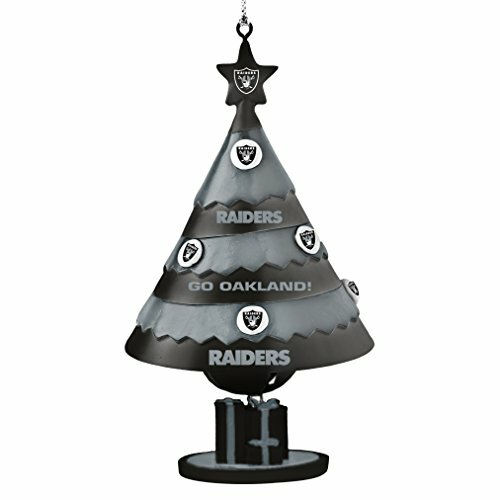 Add some accents of white and you’ll have a striking Raiders themed Christmas tree. 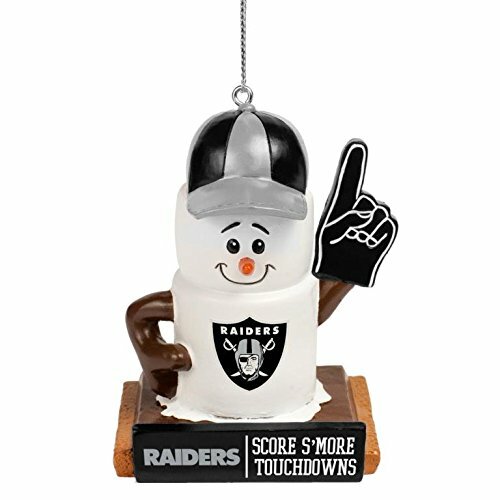 Don’t you love the Raiders piggy bank dressed in an ugly Christmas sweater? 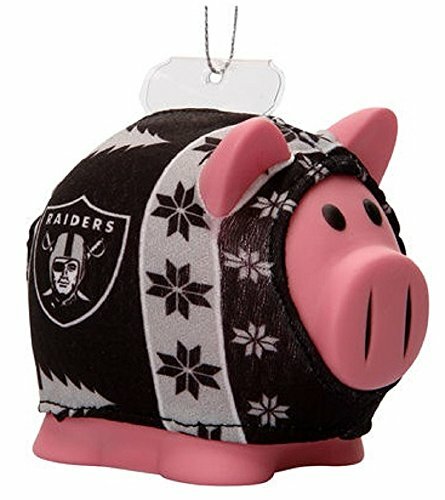 If you’re going to an Oakland Raiders themed Ugly Christmas party, the piggy would be the perfect hostess gift. 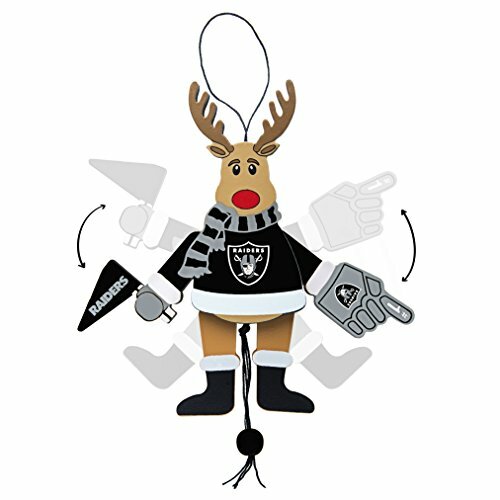 Otherwise it will look fetching on your own Christmas tree along with a Raiders camper, a replica football ornament, and Oakland Raiders bells. 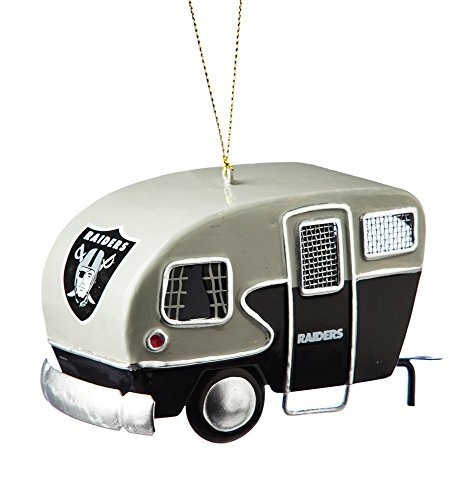 There will be no doubt who your team is when people see your tree done up in Raiders ornaments. 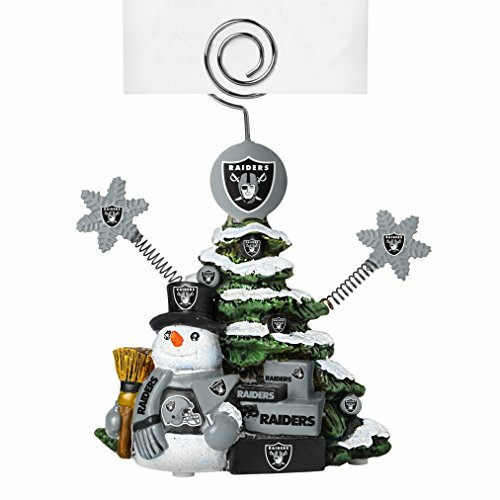 All of these are ornaments are adorned with the familiar Raiders logo, displaying your Raiders pride. 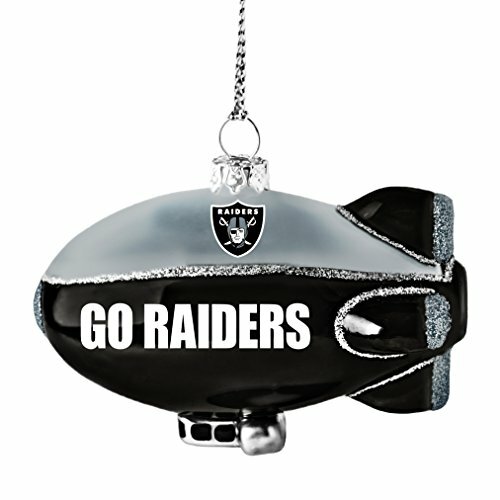 The Raiders fans on your gift list will love getting these ornaments for Christmas. 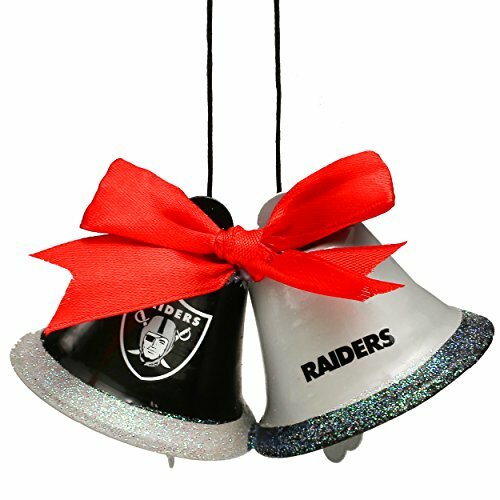 Put them in the stockings for a treat on Christmas morning! 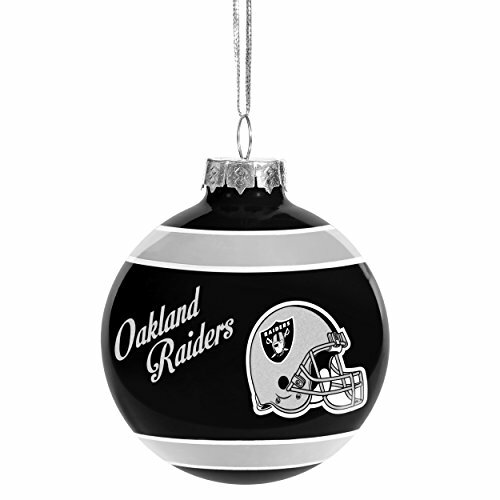 The Oakland Raiders joined the NFL in 1970. 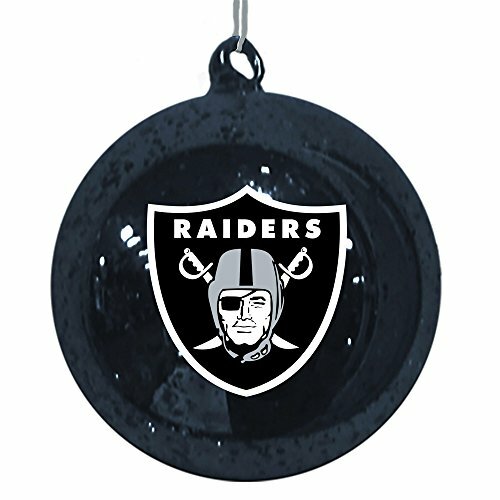 When the team was founded in 1960, the Oakland Tribune held a contest for naming the team. 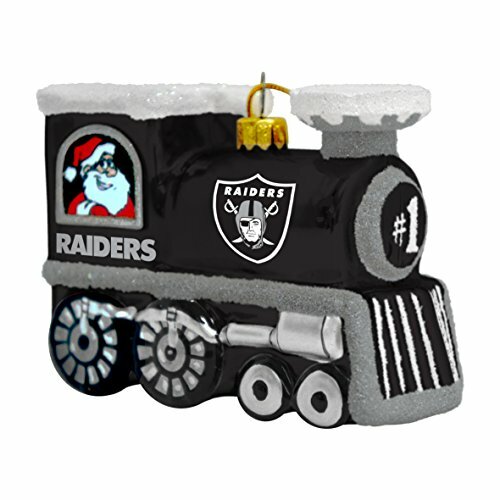 The winning name was the Oakland Senors. 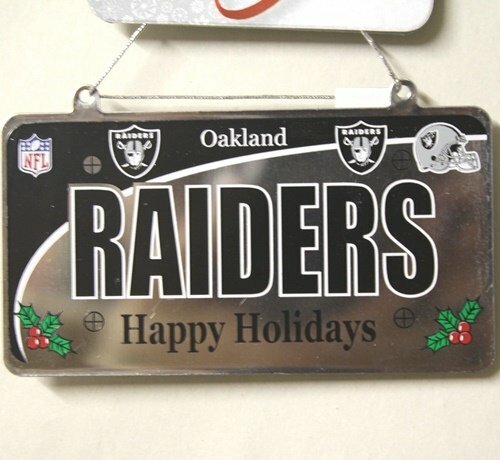 Nine days and a lot of jokes later, it was decided to go with the Oakland Raiders instead which was the third most popular entry in the contest.